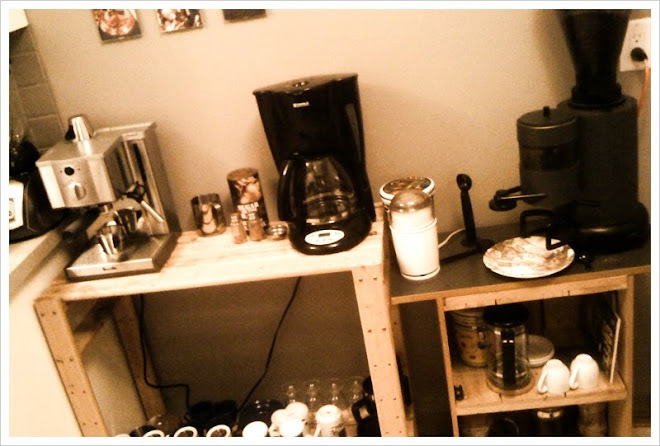 General musings on life, faith, song, and how to brew the perfect espresso. I still remember the meeting- it was mid-summer 1999, and my direct supervisor sat me down to tell me how terrible a job I had done the past year (my first in the Cedarwood office) at mentoring and caring for the boys in the Cedarwood program. Let's just say that the summer wasn't an easy one, and it only got more painful in the fall when that person became (for a thankfully short period) the acting overall ministry director. I remember lying in bed sometimes reciting in my head how I would word my resignation letter, only to stop when I'd ask myself the question, "What else would I do?" By that point, somehow I knew I had been called to ministry, and I also knew that for whatever reason I was being called to stay the course as painful as it was. It was many years before I could look back and really understand the purpose God had in putting me through that trial. I have many friends who have chosen to serve in camp ministry this summer. Many are at Cedarwood, a place near and dear to my heart, and others are scattered around the many different camps in our surrounding area. Some are experiencing great joy, and some are suffering to say the least. While what I am about to say in this post is applies to all of us in a general way, I am writing for my friends who are serving at camp. There is a very unique dynamic to camp ministry that makes the highs really high, and the lows really low, and so if you are a summer camp worker, I want to encourage you with this. 1. Remember that it's not about you. 2. God's purposes don't always make sense, especially at the time. Even as I write this I shudder at the thought of what would have happened had I finished writing that resignation letter and left Cedarwood back in early 2000. It was really really close you know. To put some perspective, if you who are reading this now know me in any way, the chances are high that it is because I didn't finish that letter. When you serve for 14 years in one ministry, you get to know a lot of people, never mind the fact that it was my experience at YFC that opened the door to make the step in to pastoral ministry in my home church. I actually can't really bring myself to imagine what life would be like if I had given up and resigned that year, mostly because of the people who would be missing from my life. When I look back now, the pain I was experiencing at the time seems so incredibly minute compared to the loss I would have experienced had I left- but at the time it was real, and it didn't make sense at all. This is where faith comes in, and by faith I don't just mean trusting in God's plan, but actually asking God to enable you to trust him like the father of a young demon possessed boy in Mark 9:24 when he cried out "I do believe, but help me overcome my unbelief!" If you are in the midst of pain and struggle as you serve, ask God to enable you to trust Him. Things may not get better in the short run, or maybe even the long run; but you may be very surprised 10 years or more down the road to look back and realize that you wouldn't want it to have been any different because you have now seen God's fingerprints on all that happened. As much as God's love is such a central part of the Gospel, sometimes we still need that simple reminder, especially when we consider that our suffering is part of a much greater purpose. I will let God's word speak for itself to conclude. thanks for sharing that ben. hurt we can grow and learn from - but then also to release it a bit so others can grow and learn is a great gift. i consider you a friend whom i've gained as a result of you NOT writing the letter, and am grateful on many fronts. I am an Associate Pastor caring for a wonderful church family in the areas of worship and middle school ministry. I don't quite know if this role shapes me, or if I shape the role I fill, but I recognize regardless that the ultimate shaping comes from the one who first shaped me in His hands.